Solar Light offers many LS1000 accessories to enhance the functionality of your LS1000-Series Solar Simulator. 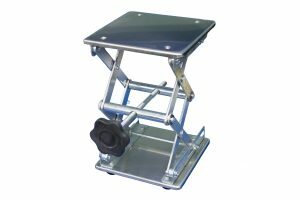 Solar Light Company’s laboratory scissor jack has a 5.5” X 5.5” (14 cm X 14 cm) surface area and allows for height adjustment from 2.75” to 10.25” (7 cm to 26 cm) for accurate measurement setup. 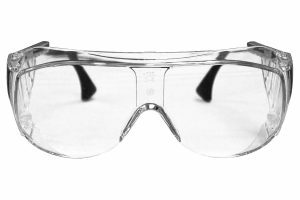 Solar Light offers safety glasses in various styles to suit research and testing environments using solar simulators. 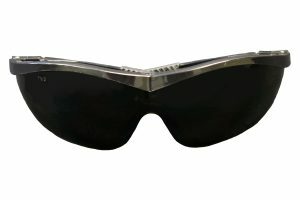 These lightweight Dark glasses feature ratchet temples, combined with non-slip rubber head grips, to allow a customized fit for virtually any head size. The lenses are constructed of impact-resistant polycarbonate which offers outstanding protection against harmful UV rays and compliance to ANSI eye wear standards. Solar Light Company offers AM0 and AM1.5 global filters that are available as 3″ X 3″ (7.62 cm X 7.62 cm). Solar Light Company offers AM0 and AM1.5 global filters that are available as 3″ X 3″ (7.62 cm X 7.62 cm) used for WG320, WG335, and heat filters that are 3″ x 3″. Solar Light Company offers a screen attenuator package holder for the 6″ LS1000. Packages contain a set of 4 frames with screens that are 20%, 40%, 60% and 80%. Solar Light Company offers a screen attenuator package holder for the 4″ LS1000. Packages contain a set of 4 frames with screens that are 20%, 40%, 60% and 80%. Solar Light Company offers a Keithley 2450 7 amp DC source meter for use with LS1000 units. Solar Light Company offers top panel with mirror mounting brackets. Solar Light Company offers a UV conversion kit which includes top panel with mirror mounts and storage case for the LS1000 unit. Solar Light Company offers a VIS conversion kit which includes top panel with mirror mounts and storage case for the LS1000 unit. 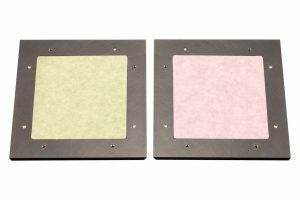 Solar Light Company offers Alignment Screens in packs of 10. Solar Light Company offers a 6″S LS1000 Air Mass 1.5G Filter Set, 3″ X 3″ (Unmounted).